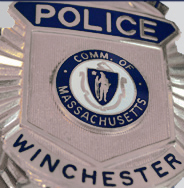 The Town of Winchester has issued a snow emergency parking ban effective Thursday, February 3 from 6:00PM until 6:00AM. This parking ban will remain in effect nightly from 6:00PM to 6:00AM until further notice. This parking ban will NOT apply to the downtown area while merchants are open for business. During this parking ban all parked vehicles are to be off the roadways to allow for snow removal. Any vehicle unable to be parked on private property may be parked at the Jenks Center parking lot across from Town Hal. Any vehicle not removed from the roadway during this emergency will be subject to ticketing and/or towing. For emergencies, please dial 911. Thank you for your cooperation.